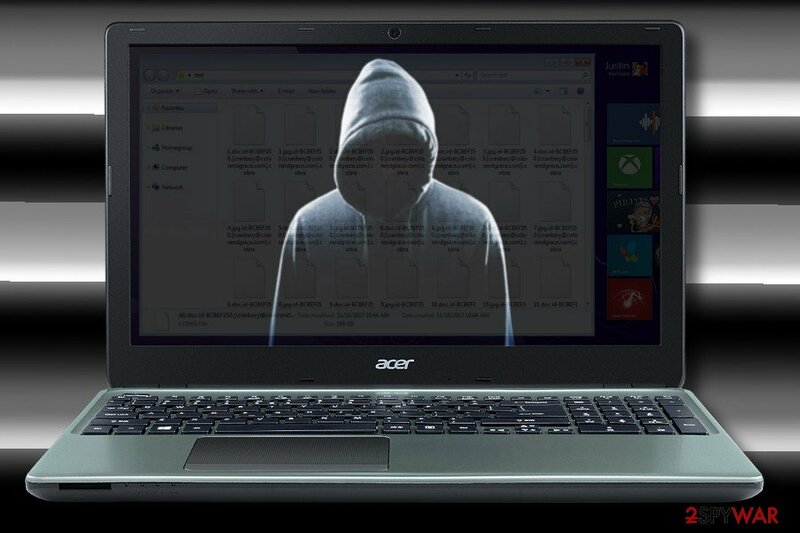 Vurten ransomware uses sophisticated techniques to infiltrate computers and hide from its victims. Use Reimage to determine whether your system is infected and prevent the loss of your files. Vurten is a crypto-virus that has been revealed at the beginning of April 2018. The malware employs AES cryptography to lock files on a targeted system. Encrypted files are distinguished from the others by .improved file extension. 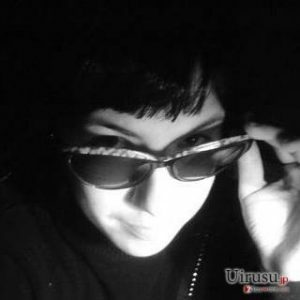 Upon successful encryption, Vurten ransomware creates a ransom note called UNCRYPT.README.txt, which demands the victim to pay $ 10,000 in Bitcoins for a unique decryptor. The ransomware hasn't yet been translated into languages. Its original version is written in English, so experts warn English-speaking users to mind the rules of safe web browsing. Experts from NoVirus.uk stress the important to filter suspicious email messages out. Vurten ransomware is distributed via malicious spam email attachments (DOC and DOCX files) most actively. However, it can also be transmitted via exploit kits and fake software updates. As soon as the payload is executed, Vurten virus starts scanning the system for targeted files. Using Administrative privileges, it runs scripts via Command Prompt to root into the OS and enable AES-256 cipher. Consequently, most of the personal files are appended with .improved file extension and cannot be read. Your entire network is sensible data encrypted with our strong algorithm. If you do not send money within 7 days, payment will be increased double. After payment you will receive decryption software. Developers of the Vurten ransomware virus are quite immodest. The decryptor they offer costs $ 10,000, which is by far the highest ransom demanded this year. The deadline for payment is seven days, which is supposed to be sufficient to collect a required sum. Nevertheless, we do not recommend paying the ransom. Not only because it's abnormally high, but because there's a risk that hackers will send you a useless decryptor or a severe cyber infection (rootkit, spyware, worm, etc.). If you fall victim to this crypto malware, run a scan with Reimage, Malwarebytes MalwarebytesCombo Cleaner or Plumbytes Anti-MalwareMalwarebytes Malwarebytes and remove Vurten virus asap. The malware initiates multiple system's changes, including Windows Registry, boot options, and other system's parameters. 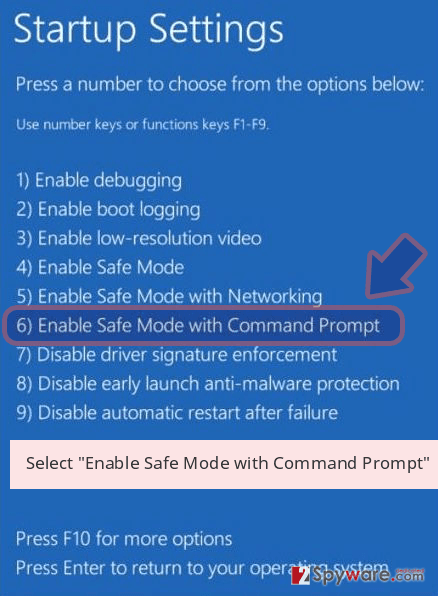 Thus, Vurten removal is a must if you want to use your PC normally. 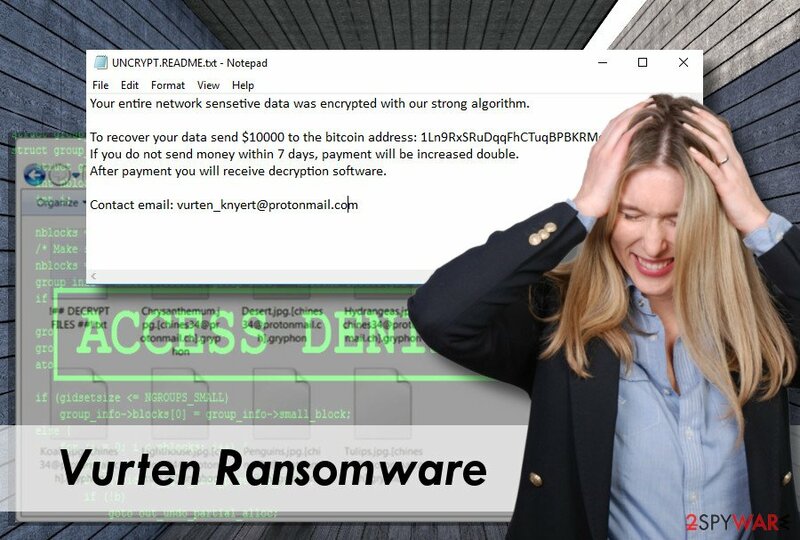 Vurten is the latest ransomware virus that stands out from the crowd due to the extremely high ransom demanded (10, 000 USD). Even though .improved file extension virus might lock most of the files on the system, do not rush to pay the ransom. Instead of that, remove Vurten virus and try to recover your files with the help of third-party software. You can find explicit recovery instructions at the end of this article. Malspam. Hackers rely on spam bots to spread deceptive emails from well-known companies reporting parcel shipment problems, debts, and similar. 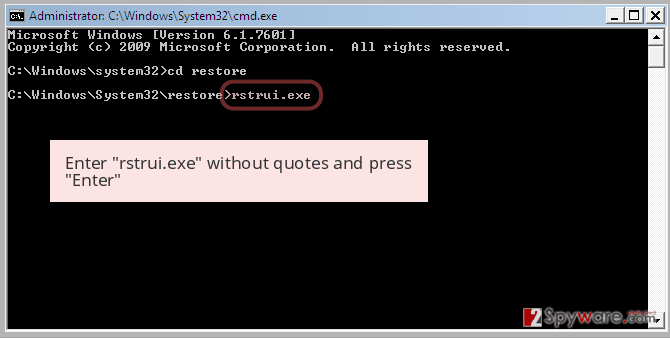 The messages contain an attachment (dox, doc, pdf, png, and other formats that disguise a malicious .exe file). Fake software updates. Pop-up ads or new tab URL ads warning about updated software or critical vulnerabilities that can supposedly be patched by installing the update. Exploit kits. Hackers employ a specific toolkit to reveal system's vulnerabilities and attack them to inject ransomware payload. The listy is not definitive, but other methods are less commonly used. Anyway, it's important to keep OS updated and download software updates regularly to patch system's vulnerabilities. Besides, keep a reputable antivirus installed and update its definitions as frequently as possible. Finally, do not fall for opening suspicious emails. If the sender is unknown, the message contains grammar or typo mistakes; it's better to report the email as spam and delete it. Even though you have $ 10, 000 in your pocket, we do not recommend paying the ransom. Cybercriminals cannot be trusted since no one knows whether they have a working Vurten decryptor or not. You should remove Vurten from the system entirely using Reimage, Plumbytes Anti-MalwareMalwarebytes Malwarebytes or Malwarebytes MalwarebytesCombo Cleaner, but many other tools can help you as well. Manual removal is not possible since the virus corrupts core system's components, such as Registry Entries. Once the Vurten removal is finished, you can retrieve locked data from backups or rely on third-party software. 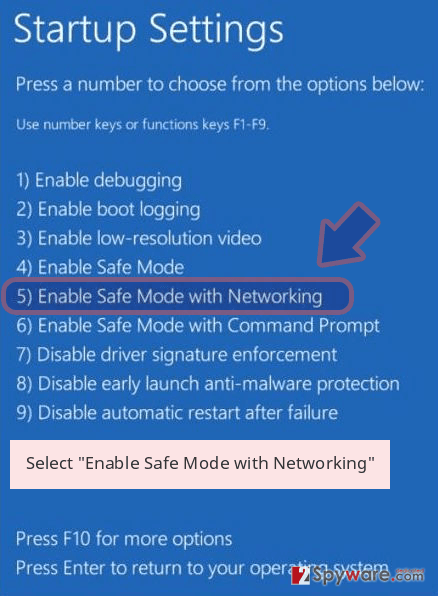 There's a variety of methods that can help you to get the access to your data back. 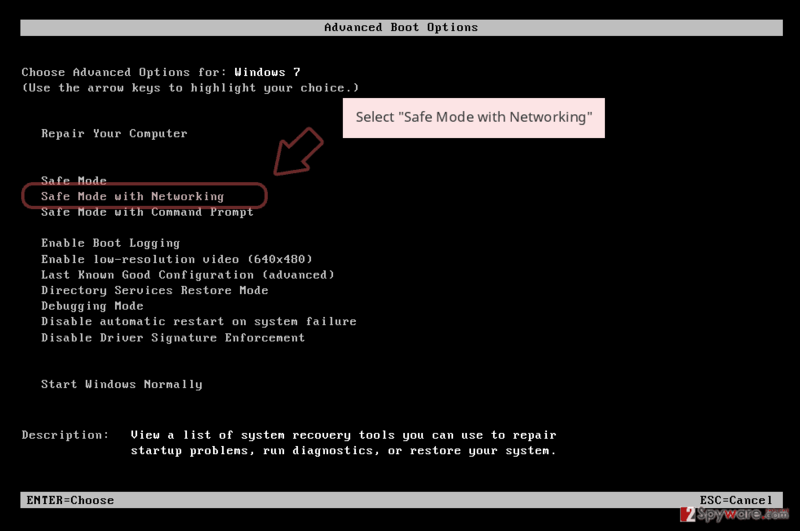 Boot the system into Safe Mode with Networking. This is necessary to bypass ransomware helper objects that can hinder antivirus performance. Log in to your infected account and start the browser. Download Reimage or other legitimate anti-spyware program. Update it before a full system scan and remove malicious files that belong to your ransomware and complete Vurten removal. 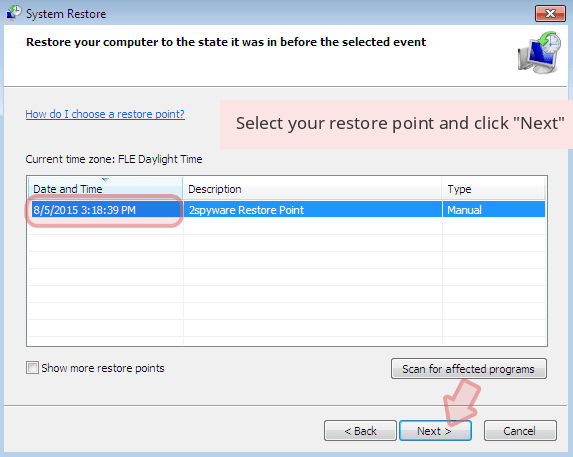 When a new window shows up, click Next and select your restore point that is prior the infiltration of Vurten. After doing that, click Next. 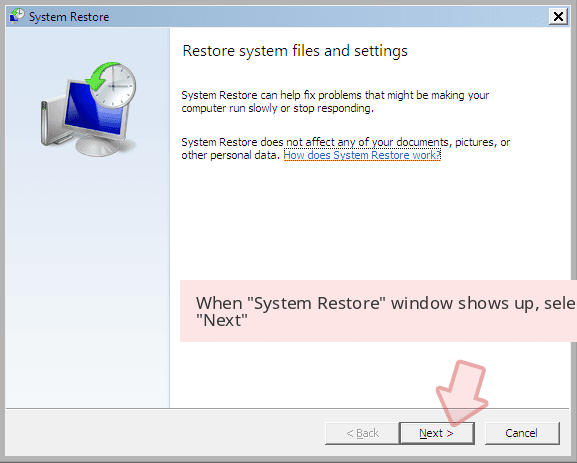 Once you restore your system to a previous date, download and scan your computer with Reimage and make sure that Vurten removal is performed successfully. Guide which is presented above is supposed to help you remove Vurten from your computer. To recover your encrypted files, we recommend using a detailed guide prepared by 2-spyware.com security experts. Download and install Data Recovery Pro. This powerful tool is primarily oriented to recover accidentally deleted files, but it can be useful for extracting data corrupted by virus. If you need to recover separate files, Previous Windows versions might help. 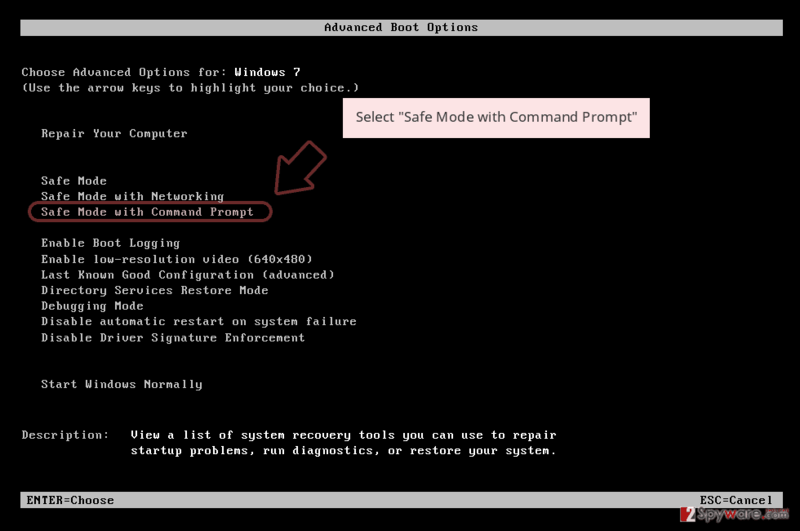 For this purpose, you have to check if you have created a System Restore Point before the ransomware attack. ^ Encrypted client-server communication (protection of privacy and integrity with AES and RSA in details). Medium. A blog of unique perspectives. ^ Novirus. Novirus. British-based cyber security news site. ^ Patrick Howell O'Neill. Ransomware demands now average about $1,000 because so many victims decide to pay up. CyberScoop. The leading tech media. This entry was posted on 2018-04-04 at 02:43 and is filed under Ransomware, Viruses. You can quickly scan the QR code with your mobile device and have Vurten ransomware manual removal instructions right in your pocket. How did you remove Vurten virus?